Spring has long been one of the hottest times of year for car sales. Between the need to find a new vehicle after the ravages of a long winter, and the urge to take to the summer roads in a brand new vehicle, many Canadians find themselves irresistibly drawn to showrooms as the days get longer and the weather gets warmer. 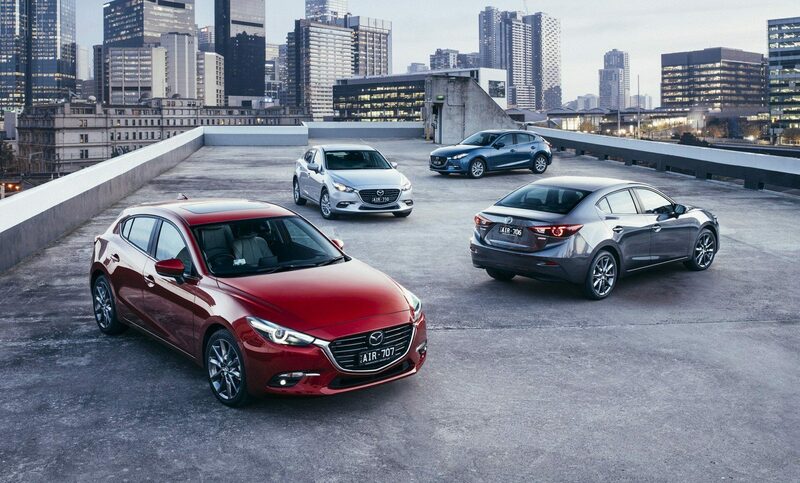 If you want to find the best deals on a new or used vehicle, your local Mazda dealership is the best place to start looking. With jaw-dropping seasonal sales on some of our most popular models, you’ll be happily shocked by how easy it is to get into the driver seat of a new car when you shop at Yorkdale Dufferin Mazda. When it comes to Mazdas, most Canadians are familiar with the Mazda 3 sedan and Mazda CX-5 SUV, both of which have built strong reputations as affordable, reliable vehicles that are also fun to drive. But if youcome check out our showroom you’ll discover that they are only the tip of the iceberg. Mazda has a car for every lifestyle, and whether you are looking for a compact crossover perfect for navigating narrow Toronto streets, or a full-size SUV that can bring the whole family up to the cottage with room to spare, you’ll find it alongside Mazda classics like the MX-5 Miata, our award-winning classic British roadster, or the versatile and spacious Mazda 6 station wagon. At Yorkdale Dufferin Mazda, we won’t just help you find the perfect car, though: we’ll also help you buy it. Shoppers who want to get the best price on a new or used Mazda should consider trading in their current car or SUV to bring the cost down. Canadian automotive experts agree that trading in is one of the best ways to save on a new car, and we accept any make, model, or year — and can even help you get the process started online before you visit. Finally, if you want to replace your current vehicle but still aren’t sure how to make it work with your budget, never fear: at Yorkdale Dufferin, it is easy to get financing on a new or used Mazda — simply fill out an online application, or stop by our dealership in person. Our team of finance experts can help you get behind the wheel of your next Mazda regardless of your credit score, and if you have previous loans we would be happy to help you refinance or adjust terms to make a new purchase possible. Spring has long been one of the most popular shopping seasons for Canadians who want to find a new or used car, and with great deals on Mazda classics like the 2018 CX-5, Mazda 3, and Mazda CX-9, there’s never been a better time to buy. With fantastic seasonal sales, flexible trade-in options, and financing for everyone, you are sure to come away with a vehicle you will be able to rely on for years to come without breaking the bank. Visit Yorkdale Dufferin Mazda today, and start shopping for your next favourite car!